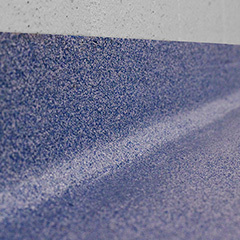 Penntek’s Quartz System is a safe and durable coating for a variety of commercial and industrial applications. The quartz aggregate is embedded in the coating to create a non-slip surface with extreme durability which is perfect for environments where floors may be wet and safety is a concern. The system is also highly abrasion and chemical resistant. It is designed to last. 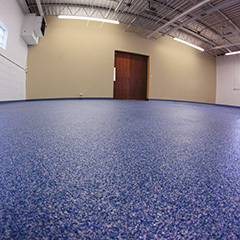 The Quartz System uses a 100% solids polyurea with unique technology that offers extreme adhesion, rapid cure, and maximum broadcast time. This system also offers a quick return to service which leads to less down time for customers. The maximum recoat times contribute to the ease of application for the installers.